April Rubybox - Access Beauty Inside / Gee Whiskers! 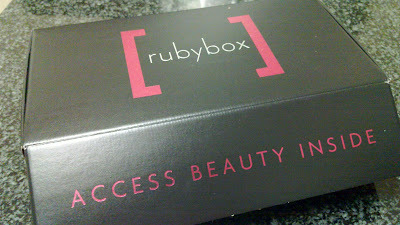 I have been a subscriber to Rubybox since December 2011 and every month when my box arrives I am filled with childlike excitement, almost as if I am receiving a lucky packet filled with wonderful goodies to spoil myself to. The April Rubybox was a serious treat that once again exceeded my expectations. For the second time in 2 months Rubies (Rubybox subscribers) were treated to a full size product. This month it was the Piz Buin In Sun Lotion which is valued at R180 (I am still in love with the beautiful Incoco dry nail appliques that were in the March box). With the inclusion of a full size product the box's value has already exceeded the R100/month subscription cost. For those of you who are not familiar with how Rubybox works please visit their website for more information and while you are there, why not check out their boutique shop where you can pick up some of the wonderful products that have been included in past boxes.